Introduce your work to the world. 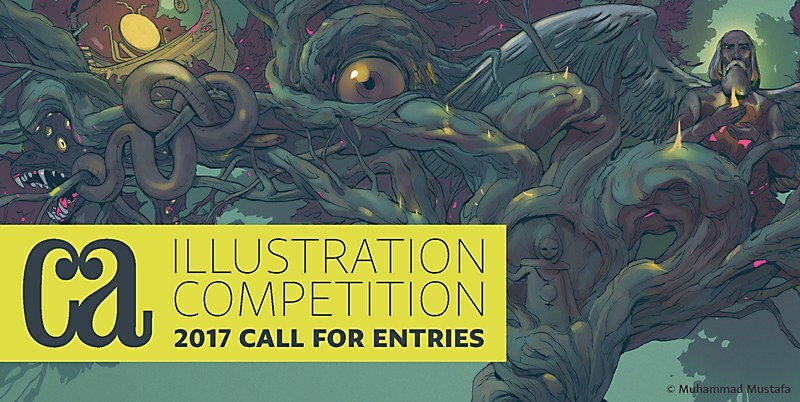 Enter the most prestigious competition for creativity in illustration, the Communication Arts Illustration Competition. Any illustration first published or produced from January 2016 through January 2017 is eligible. 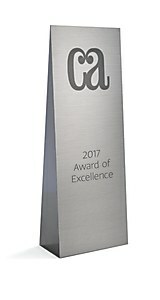 Selected by a nationally representative jury of distinguished designers, art directors and illustrators, the winning entries will be distributed worldwide in the Communication Arts Illustration Annual, in print and digital editions, and on commarts.com, assuring important exposure to the creators of this outstanding work. As a service to art directors, designers and art buyers, a comprehensive index will carry contact information of the illustrators represented. Illustration Competition FAQs: Frequently Asked Questions about applications and file formats. Any illustration first published or produced from January 2016 through January 2017 is eligible. Entries may originate from any country. Descriptions in English are very important to the judges. Submission of entries acknowledges the right of Communication Arts to use them for publication and exhibition. Entries must be registered no later than Midnight (Pacific Standard Time), January 6, 2017. Entries registered after that date require a late fee of $10 per entry. No entries can be registered after January 20, 2017. Campaigns or series are limited to five illustrations. If the entry has more than five illustrations, indicate which five are to be judged. If this isn't indicated, the entry will be disqualified. Print Entries: Must be unmounted and sent to our office by mail/courier. Each illustration is a single entry. A printed piece with several illustrations must have a dot or some other mark indicating which specific single illustration is to be judged. If a single illustration isn't indicated, the entry will be disqualified. Campaigns or series are limited to five illustrations. If the entry has more than five illustrations, indicate which five are to be judged. If this isn't indicated, the entry will be disqualified. Do not tape series together. Any project over 18" x 24" must be submitted as digital images. All pieces sent in physical form must have an entry form taped to the back of the work. Do not send work in poster tubes as they are frequently damaged in transit. Non-United States contestants should mark each package "Materials for Contest Entry. No Commercial Value." No provision will be made by Communication Arts for U.S. Customs or airport pickup. International entries should be sent by post or international courier. All entries must be received by the final deadline date. After the January 6, 2017 deadline we will accept entries for two weeks but a late entry fee of $10 per submission is required. No entries can be registered after January 20, 2017. Please don't mount your project onto a board. Projects that are mounted become very heavy and are hard for us to handle. It simply means that you should not send original illustrations or artwork because they will not be returned. I have a single brochure/poster/self-promo piece that has several illustrations on it. Why is it a series and not a single entry? The judges of the Illustration Competition are only judging the illustrations, not the typography, design or art direction. 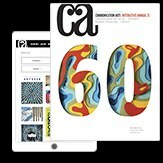 (Entrants who want the design or art direction of their pieces to be considered should enter them in the CA Advertising and Design Competitions.) Each illustration is a single entry. Therefore, a piece with several illustrations must be considered a series. There is a maximum of five illustrations in each series; if a piece is entered and there are more than five illustrations on it, the five that are to be judged must be marked in some way. You retain all rights to your images. If selected, you will need to grant us the right to reproduce the image or images for our online, digital and print-based publications. Yes, there is a substantial discount for student entries completed as a school assignment. However, if work is entered after the initial deadline a late fee of $10 per entry will be added. Questions about what to enter, how to enter and other frequently asked questions can be found in the Illustration Competition FAQs. 6) Each illustration is a single entry. A printed piece with several illustrations must have a dot or some other mark indicating which specific single illustration is to be judged. If a single illustration isn't indicated, the entry will be disqualified. 7) Campaigns or series are limited to five illustrations. If the entry has more than five illustrations, indicate which five are to be judged. If this isn't indicated, the entry will be disqualified.